The one, true president, Barack Obama, had a lot to get off his chest on Wednesday while speaking in New York: He tore into Republicans and their continued efforts to undermine the Affordable Care Act, and also addressed climate change and white supremacy, all in the same breath. Obama must be just as fed up as the rest of us. According to CNN, while giving the keynote address at a New York City event sponsored by the Bill and Melinda Gates Foundation, Obama slammed the “aggravating” attempts by Republicans to deny vulnerable Americans health care. 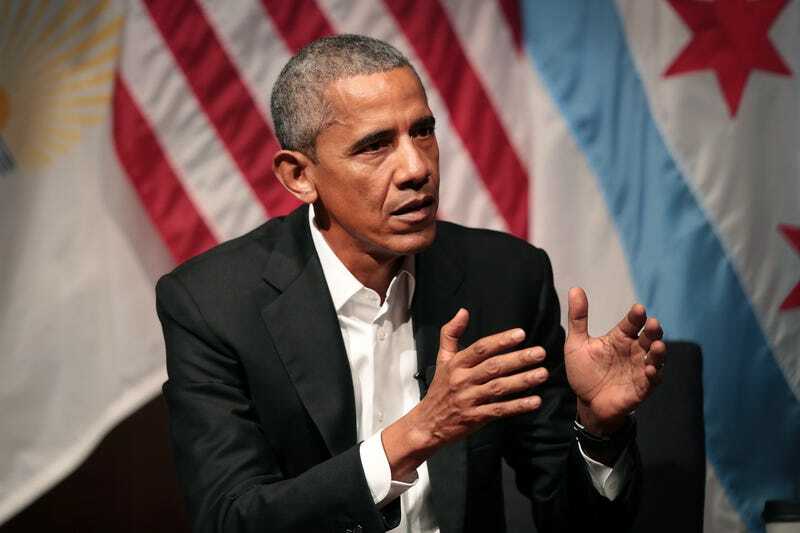 “When I see people trying to undo that hard-won progress, for the 50th or 60th time, with bills that will raise costs, reduce coverage and roll back protections for older Americans and people with pre-existing conditions ... it is aggravating,” Obama said. Obama encouraged those who are mobilizing to protest efforts to do away with his landmark legislation to keep on fighting. He also noted that while it is frustrating, that is how the job gets done. If only certain people’s administration saw it that way. Rounding out his comments and touching on all the biggest things near and dear to our hearts over the past few months, Obama also took a minute to address nationalism and other harmful sentiments, which he said could restrict efforts to fight poverty and disease. Obama adopted an optimistic outlook himself, stating that America today is a far better place to live in than it has ever been, despite the flood of negative news that has seemed to plague the nation especially in the past nine months. “I know that statement doesn’t seem to jibe with the steady stream of bad news and cynicism we’re fed on television and Twitter,” he acknowledged. Read more at CNN and read the entire speech here.